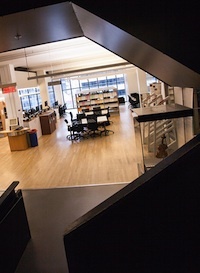 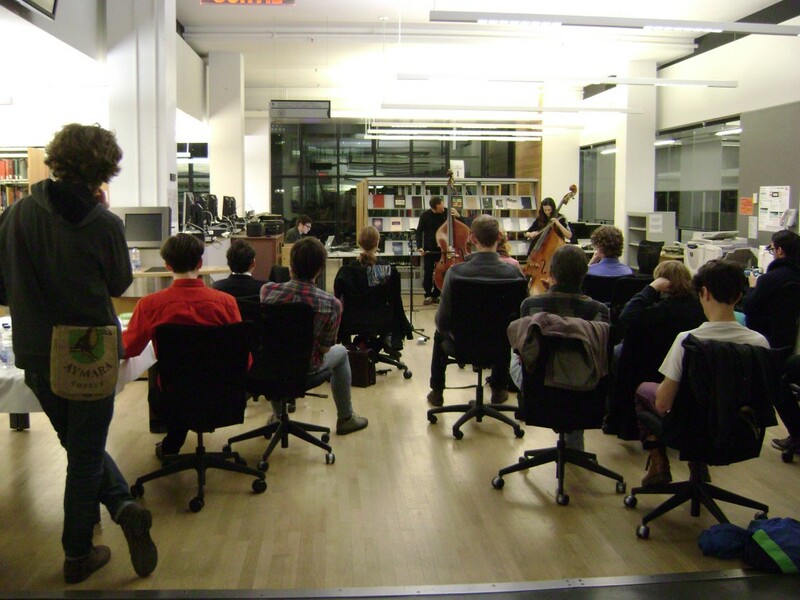 From time to time, the McGill Music Library “closes” and changes its identity into a progressive performance venue. 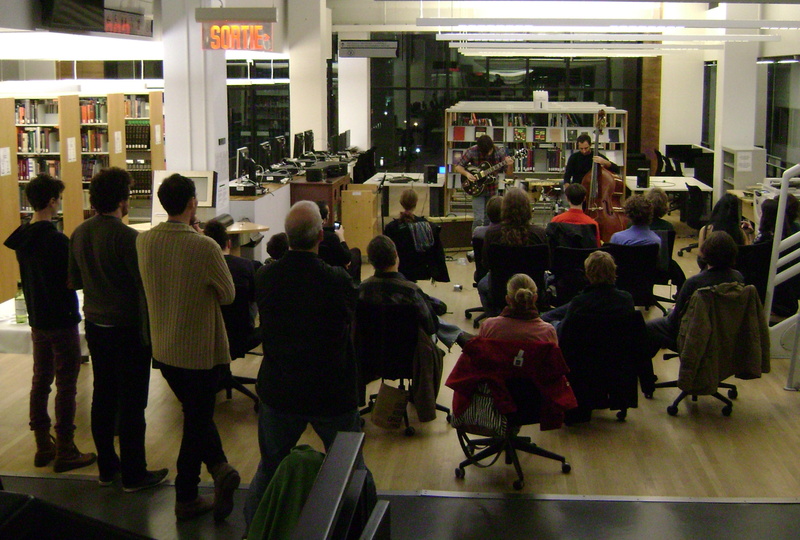 In 2011, the Music Graduate Students’ Society (MGSS) began coordinating with Library staff to present “Library After Hours” open mic events. 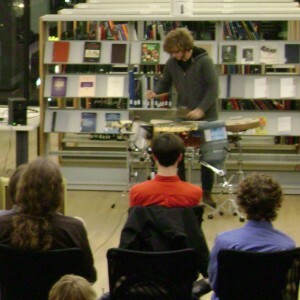 In so doing, the MGSS aims to provide music students with the opportunity to experiment with new repertoire, collaborate with others and improvise in an informal environment. 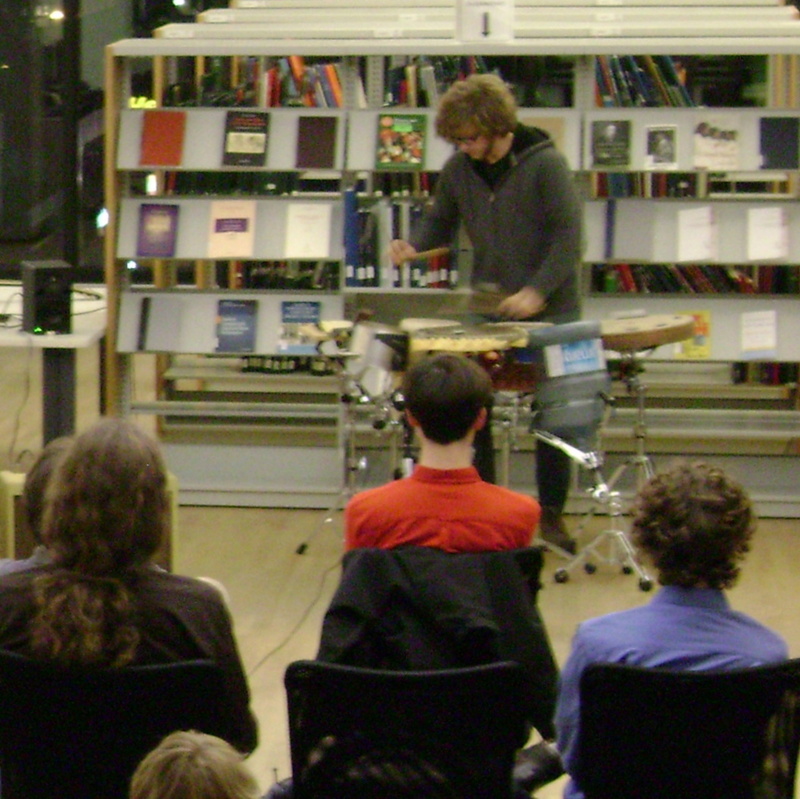 True to form, a recent “Library After Hours” event included an eclectic mix of contributions: a performance of Ferneyhough’s Bone Alphabet, an improvisation session involving electronics and a double bass duo, a presentation of several jazz standards, and more. 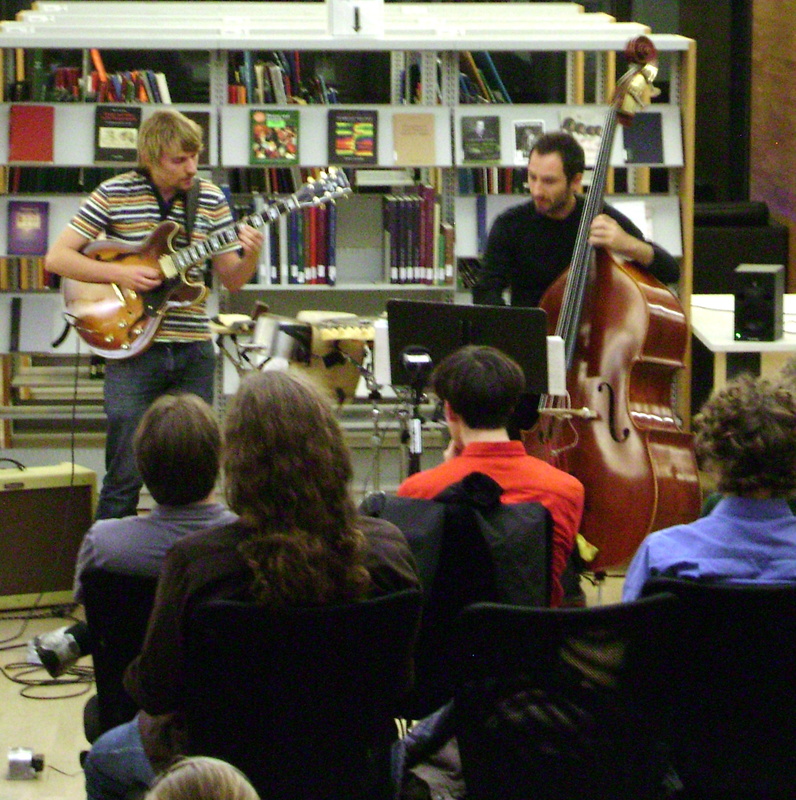 MGSS “Library After Hours” events are another good example of what is going on behind the scenes at the Music Library as well as an illustration of McGill Library’s motto, Everything you need — including a place to perform on a Friday night, with scores, recording equipment and an enthusiastic audience close at hand.